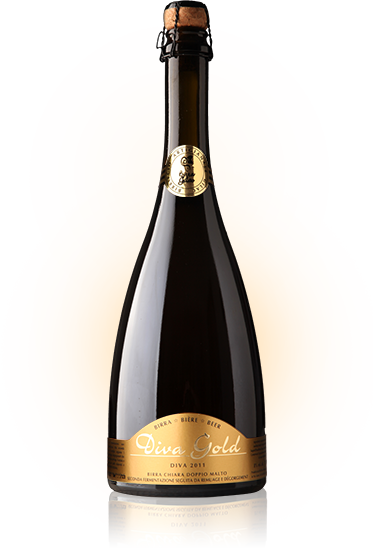 An elegant yellow colour, crystal clear, full-bodied and lavish head with a delicate and lasting opalescence. Initially releasing a floral bouquet followed by a fruity aroma of cooked apples, mature grapes and candied tropical fruits. A highly frizzy well balanced body with pleasing undertones and a lingering scent of hops, dry and soft at the same time. Perfect to accompany snackettes. Surprising if drunk as an aperitif with finger food. Ideal at dessert and with high cuisine dishes.